Congratulations to our Bench Rest Star of the Year. Mrs. Donna Matthews. She just started shooting Bench Rest in Spring 2014 using our Custom Rifles on our Hammer Head, Low Boy stocks and BRUX barrels. She and her husband David are dedicated shooters. We are proud to have them aboard. 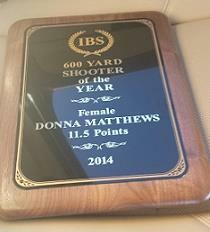 Congratulation to Donna Matthews for winning the 600 yard Female Shooter of the year 2014 with our Hammer head bench rest rifle.The rifle was chambered with our 6mm Dasher reamer in a BRUX barrel. 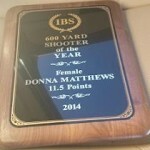 Way to go Donna! 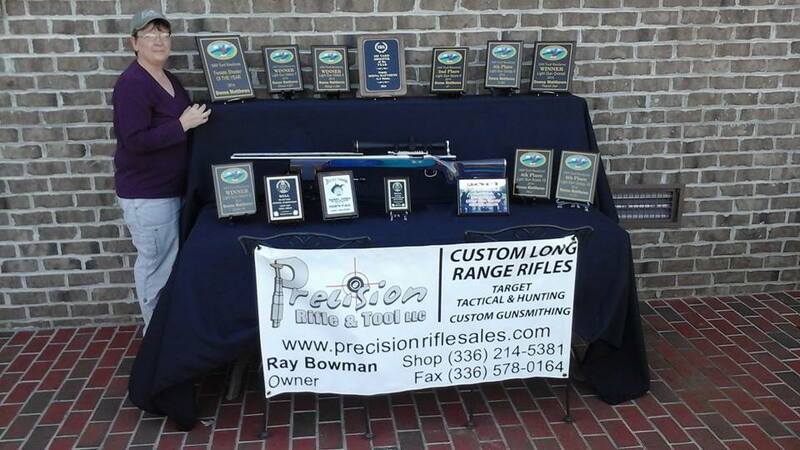 David and Donna Matthews, PR&T shooters, are shooting in the 2014 600 yard Bench Rest Nationals in Memphis, Tn. This is their 1st year shooting. 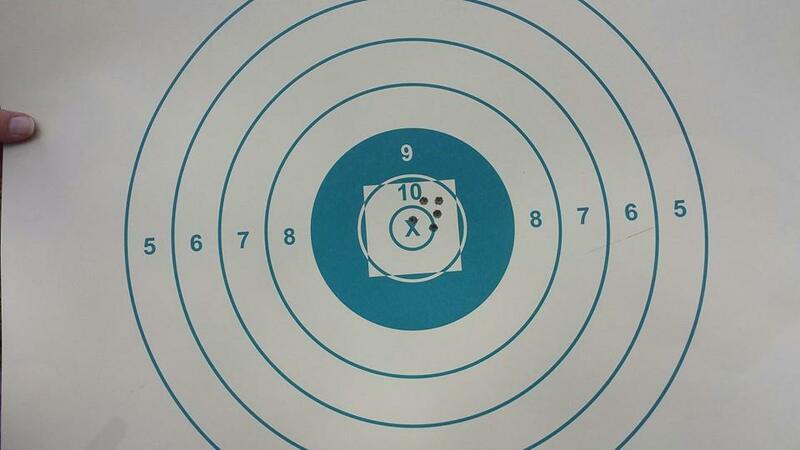 In her 1st relay of the match Donna shot a .859 group and a 50-1x score. (See photo) for the smallest group of the day. Donna’s rifle is built by PR&T with a 5″ Low Boy Hammer Head Stock, BRUX Barrel chambered in the PR&T DASHER reamer and a Borden BR Dual port action.